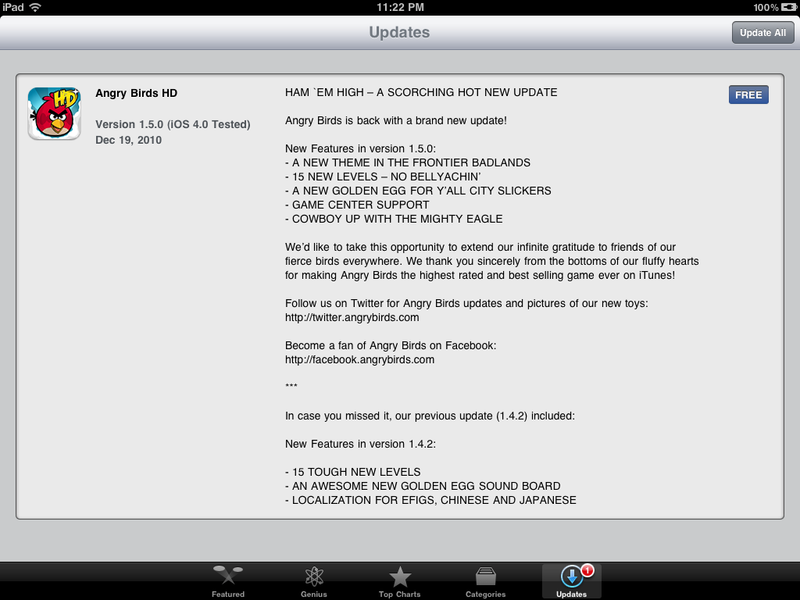 Angry Birds HD for iPad has been updated to version 1.5.0 and includes a new theme, more levels, and Game Center support. As of now, the update is only available for the iPad version of Angry Birds, but we suspect the iPhone update isn't far behind. If you have a moment to pry your eyes and fingers away from achieving 3 stars on the 15 new levels, let us know what you think!